Flowers fit for a barn wedding. 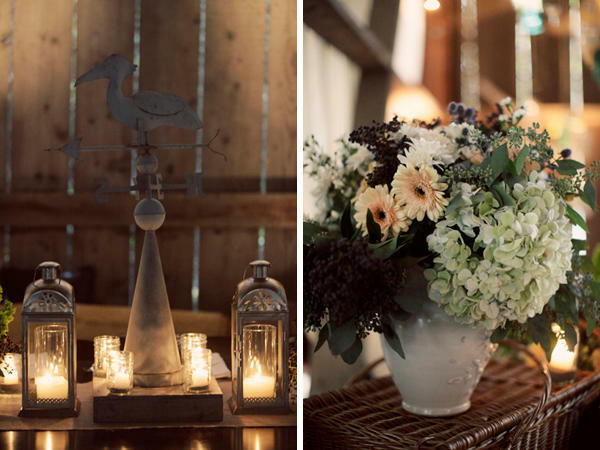 There are so many different things to do with flowers for a wedding, but when I think specifically about a barn wedding, I love the idea of soft, natural colors and textures. I'm loving the following flowers arrangements. I love the incorporation of berries in this bouquet. 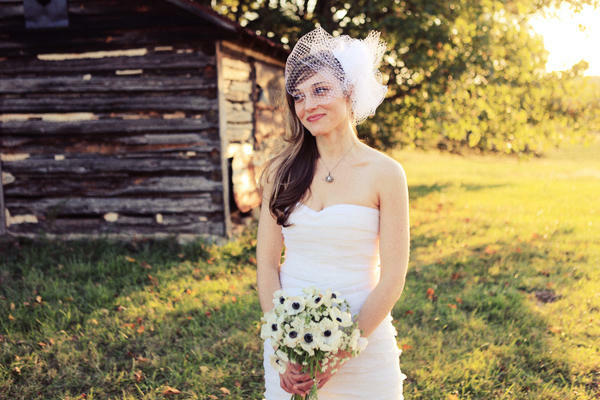 This bride as a very simple bouquet of anemones (I think) and it's just lovely. 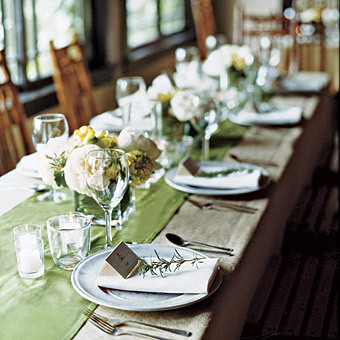 I love these low table arrangements of white and green and yellow flowers. 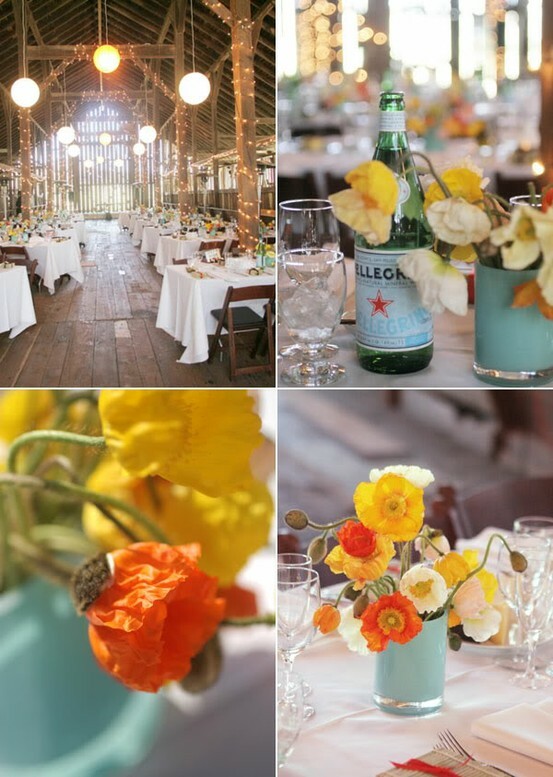 Poppies are the perfect complement to this Northern California barn wedding.